Over the course of late October/early November i’ve gone on a few shopping trips and gathered a collection of clothing and accessories i’m super excited to wear for the fall to winter transition. Now I say winter very lightly… you never know what kind of winter you’re gonna get in Texas. I have everything from jackets to skirts prepared for this season & they’re pretty cute if I do say so myself. 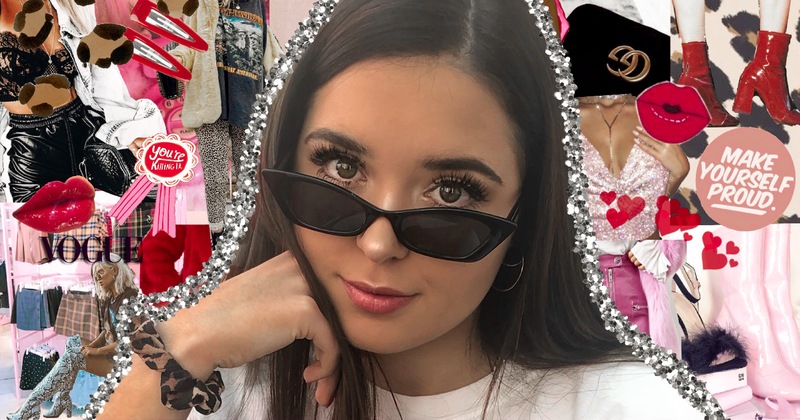 I filmed a try-on haul to show you how everything fits and it’s also the first video on my Youtube channel. Below the video is every item I bought listed below so you can get them too! Sharpay Evans skirt straight off the set of HSM 3. Get it while you can boys and girls! Ok soo I can’t seem to find the little red bag online but I linked a few alternatives that are just as cute! I actually have number 1. I bought these in store at Pacsun, but they’re both Brandy so the links will take you to the official Brandy website! Check out my review of this boutique. sign up to insta shop for this sweater.